Jason enjoyed a fantastic night at the John Smith’s stadium celebrating the best in local business and enterprise at the Huddersfield Examiner Business Awards. 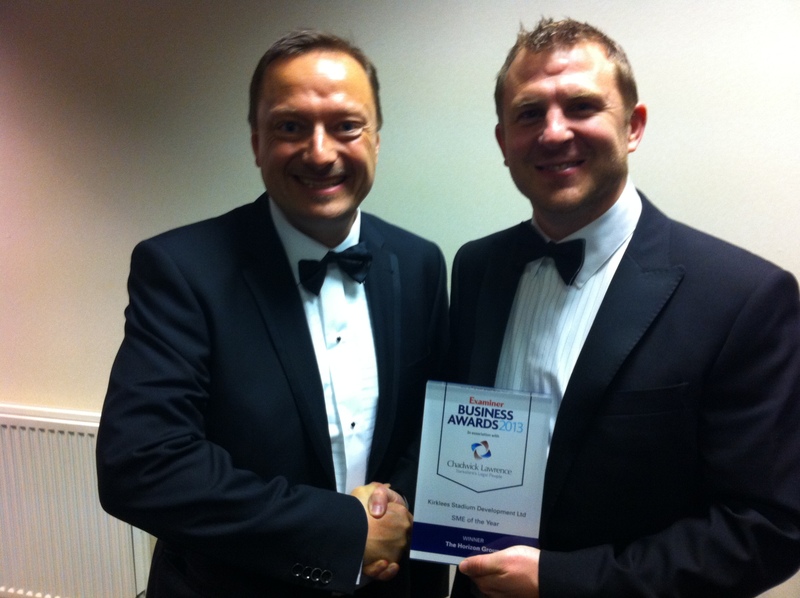 Among the winners were Meltham based Disposables UK Group who were named Business of the Year. Disposables UK makes washroom cleaning and hygiene products for hotels, colleges and sports venues including the London Olympic Park. 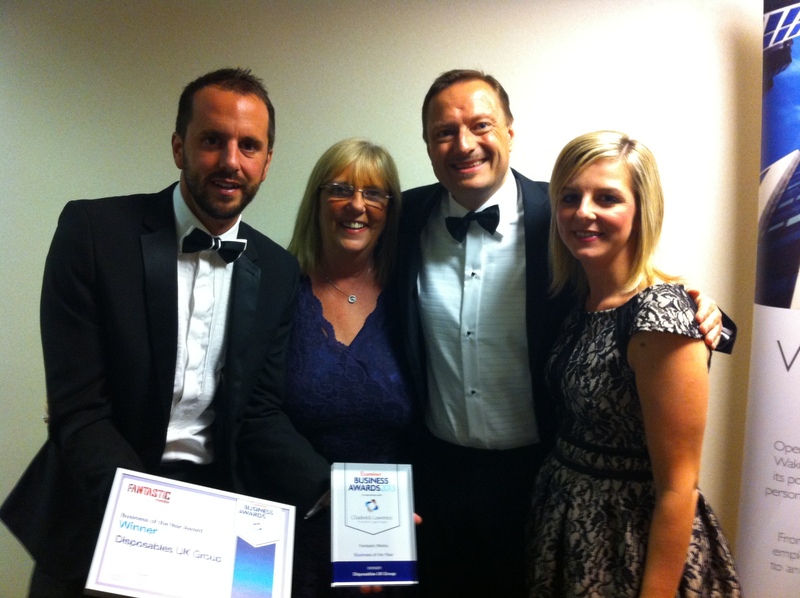 Jason is pictured with Diane Storer, Chairman, her son and daughter Paul Storer and Emma Wood. 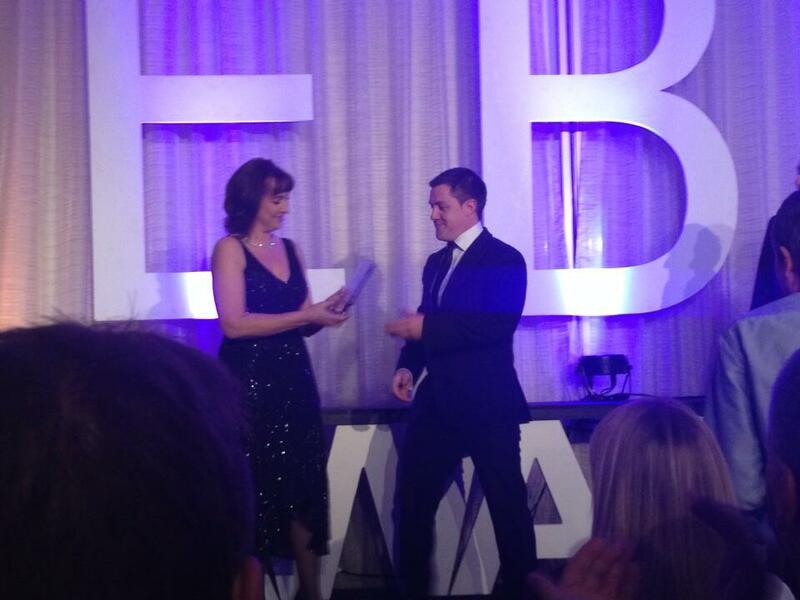 Young Business Person of the Year is Oliver North, of North Fire! Oliver North has blazed a trail in the fire and rescue market at his Brockholes based business. SME of the Year award went to Milnsbridge-based Horizon Group who produce trade signs, furniture, fittings and equipment for the education sector, products for the transport industry, as well as metalworking and powder coating services. Jason is pictured with Director Ross Ball.